Experience the natural mathematical beauty of fractals: now in 3D space! First: what are fractals? 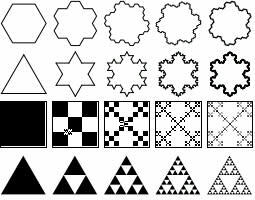 Fractals are complex structures based on a simple core shape or pattern, and can be found in many places, both mathematical and natural. Inspired by the aesthetics of two-dimensional fractals, our team set out to explore the possibility of fractal generation in three-dimensional space. Our iOS mobile app enables users to fiddle with fractals anywhere and anytime! Users interact with an immersive "fractal portal" through which they are able to experiment with their own geometric designs. 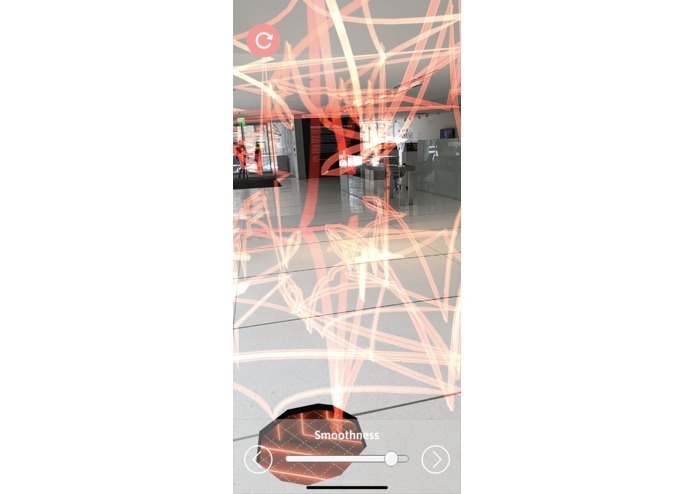 With reactive sound and an intuitive interface, XR Fractals is an intriguing, entertaining mobile experience. XR Fractals uses Unity and ARKit. 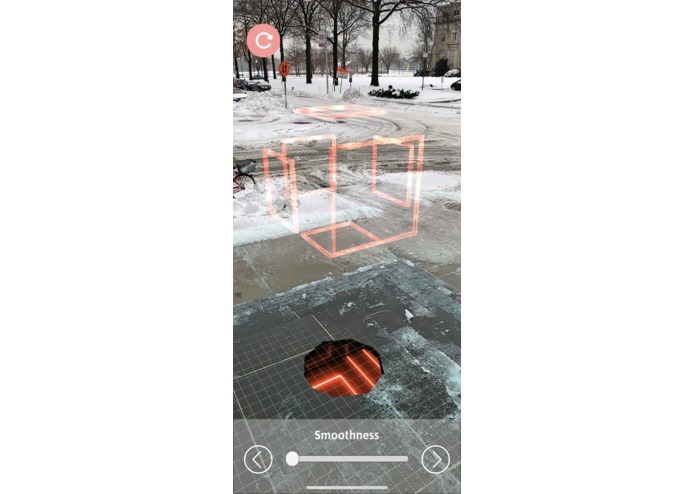 ARKit was used to build the project. Before we even started our project, one of our first challenges was deciding which technologies XR Fractals would use. We experimented with both VR and AR devices, but ultimately settled on a simple mobile AR app. With this platform, our app enables users to explore aesthetically interesting fractals on a whim. We ran through many possible ideas for ways to generate our 3D fractals, as well as ways for users to interact with their creations. After playing around with shaders and mirrors, we decided to code our own recursive geometry for users to build fractal shapes with. We developed reactive audio that reflects the intricacy of our fractals. And to present our core experience, we devised and successfully implemented an immersive portal and an engaging UI for our users. Iteration is key: although our team has faced setback after setback, adaptability and willingness to start moving in a new direction have enabled us to successfully develop an entertaining app. Just like a fractal, we've expanded upon our core idea to create an amazing structure! Our fractals still have more space to grow! While XR Fractals is currently focused in augmented reality, as our team name implies, our app could easily extend to new devices and new technologies. Future expansion into VR or even a continuation of AR with wearable devices would introduce an entirely new level of immersion. Sukhraj Johal - A third year student at Sheridan College studying Game Design. Encompasses skills in game development, visual art, and UI/UX. I thought of the idea for creating interactive fractals in 3D space for XR devices after being inspired by 2D mobile app Fraksl. I worked on creating the fractal generation system, and controls. I worked on creating the UI and the overall user experience within the app. As well as designing the interactive features that the user can perform in AR space! I worked on creating AR portal and interactive functions. I worked on researching different methods for generation and experimented with devices and portal placement.